They’re sprouting up all over the country- places that combine the comforts of a coffee shop with the atmosphere of a game store. I’d heard of these establishments, but not had an opportunity to visit one. On a recent trip to Seattle, I figured that there was no better place to have my first experience of a game cafe than the Mecca of coffee. What follows is my account and impressions of a visit to Meeples Games, the premier game cafe in Seattle, Washington. 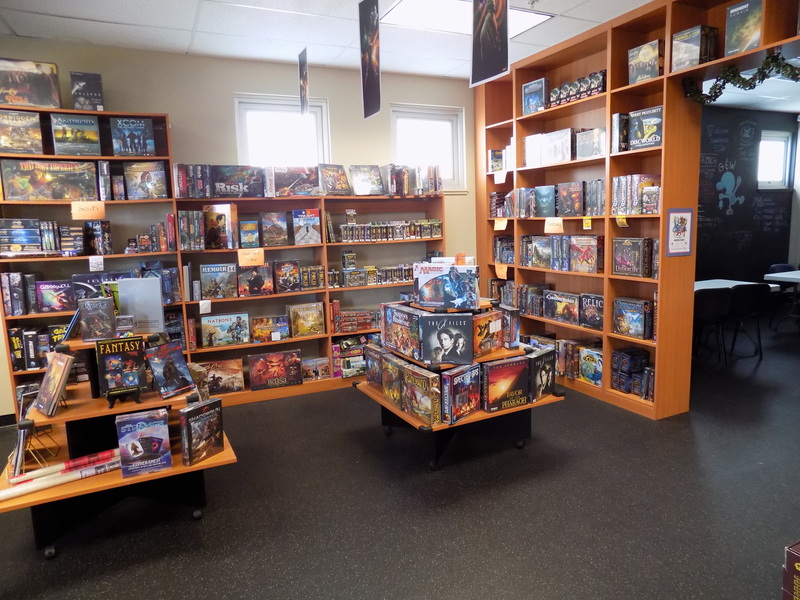 Upon first entering, Meeples Games appears to be just like your average game store- stacks of cling-wrapped games sat atop shelves that stretch from floor to ceiling, separated by genre and with a section set aside for employee recommendations. But by stepping through a nearby doorway, one suddenly finds oneself in a small, cozy coffee shop. 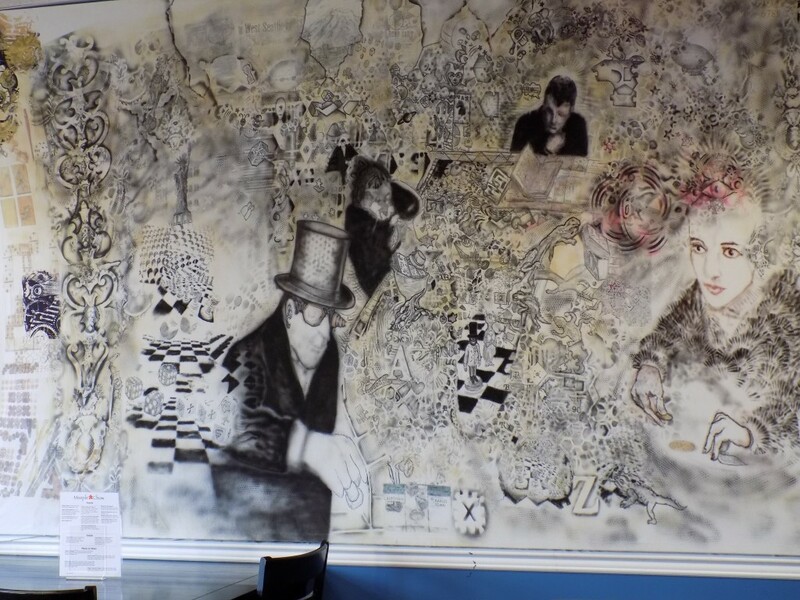 A tasteful mural adorns one wall opposite a small counter. Beside the counter is a glass case in which is arrayed an assortment of baked goods. 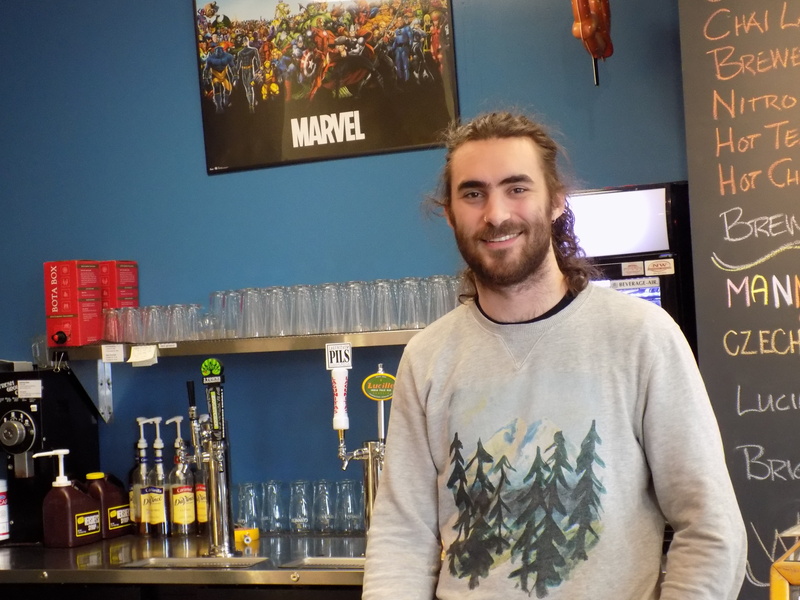 However, it isn’t the delicious cookies, nor the assortment of beers on tap that impressed me (although, I must admit, the sight of a variety of quality beers available to drink while I game excited me quite a bit) it was instead the staff at this particular game cafe. Gaming establishments sink or swim based off of one aspect above all others: staff. You need to have staff who are friendly and helpful- there on the periphery to assist, if necessary, but not pushing their way in where they aren’t needed. 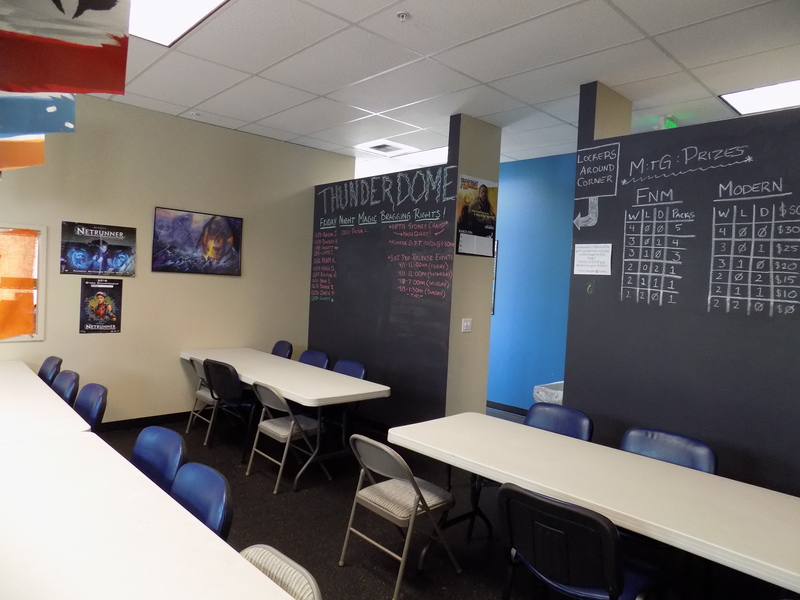 Staff at these establishments need to be not only well versed in various games, but also personable, outgoing, and possessing strong social skills. 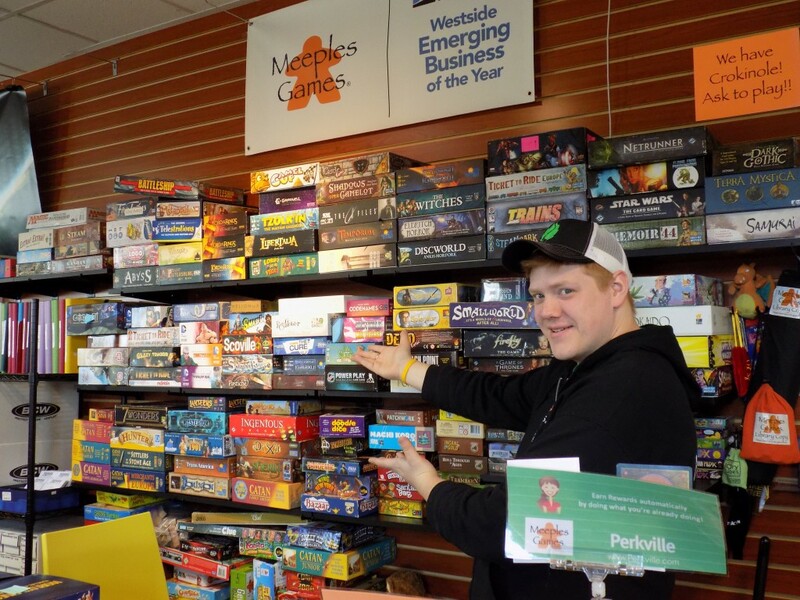 In this regard, the staff of Meeples Games did not disappoint. 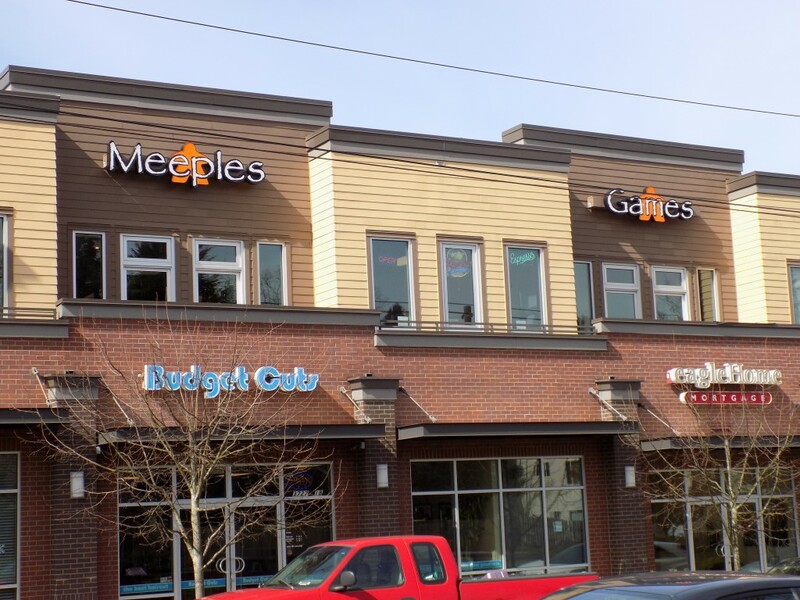 I had the pleasure of speaking to two different staff members during my time there, both of which have been employed by Meeples Games for a considerable portion of the time it has been open. 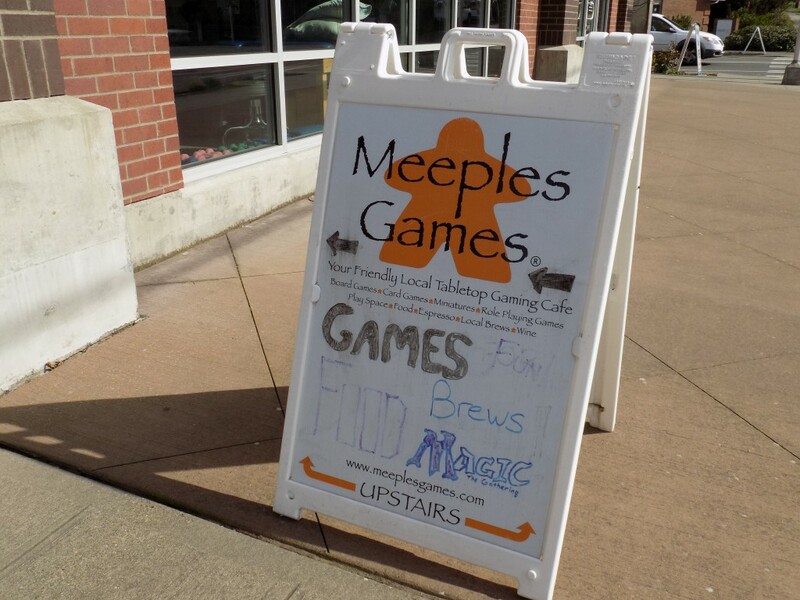 Ultimately, for me Meeples Games was not only a fantastic introduction to game cafes, but a standard to which all other establishments should aspire. 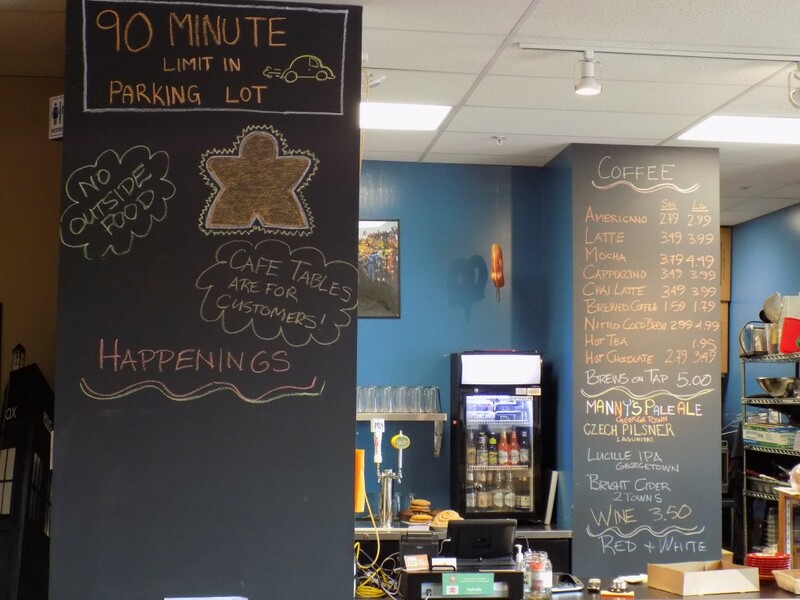 They offer a quality product in a warm and inviting atmosphere with friendly and helpful staff to guide anyone who visits along a path to fun and frivolity. 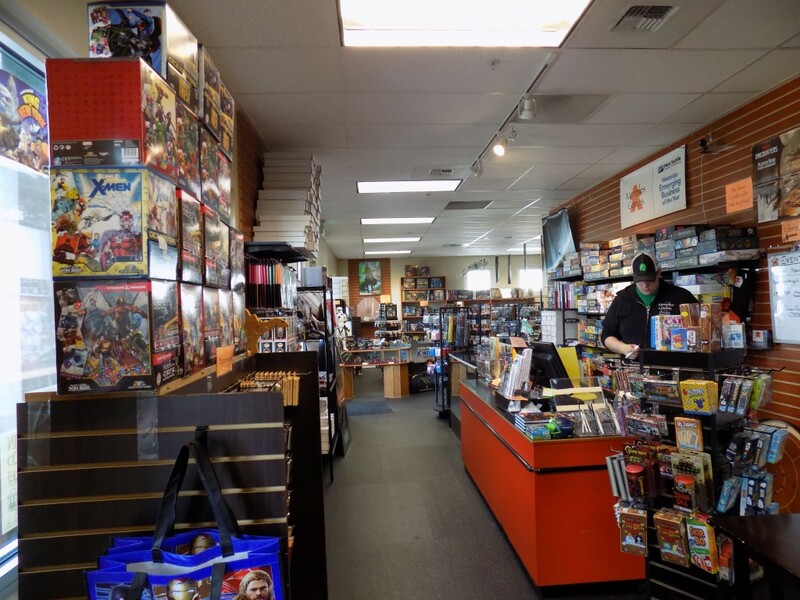 I know that the next time I’m in this neck of the woods, I will certainly stop by for another visit and I urge any gamers in the Seattle area (or who pass through it) to visit this gem of the Pacific Northwest- you won’t be disappointed.